Last year Amazon Echo brought personal assistance to the home. Inside is Alexa, the voice behind this technology. Amazon is working with other companies to bring Alexa Voice Service into their products. 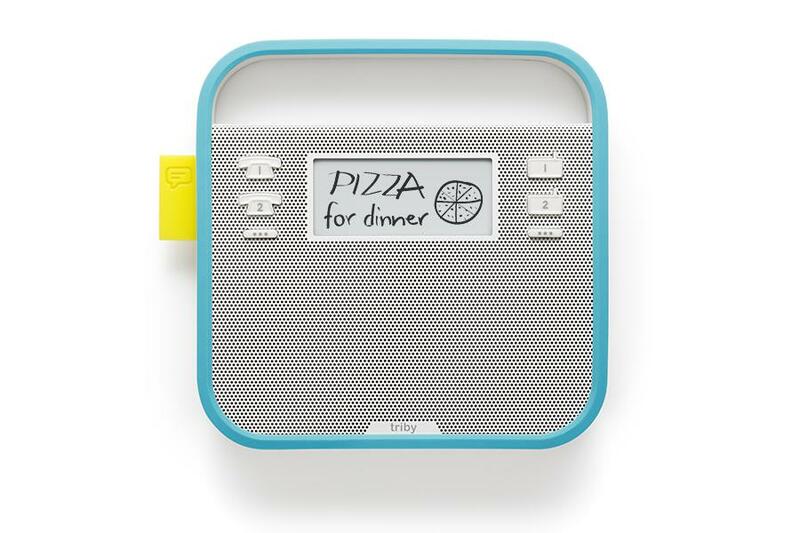 Invoxia is one of those companies with their latest device called “Triby”. This is a family-friendly device that can be set on counters or magnetically placed to the fridge or other metallic area. The device is not only a hands-free speaker for music, cell calls and VoIP calls, but is also a way for the family to communicate when they are not at home. Connected to Wifi, family members can connect and send messages via their tablet or phone. They don’t even need a cell signal if they are away from the house. Simply connect to a Wifi service and send a pre-programmed message. You can even write simple messages like “I’ll be 10 minutes late” or “Order Pizza”. A yellow flag will appear when a message is waiting. Other features for Triby include Spotify Connect for streaming. 4 microphones attached will allow you to call out for Alexa to play or stop music, answer calls and more. Triby comes in multiple colors and is available now for $199. The Alexa version will not be available until Q1, but will also be $199 when it is out.